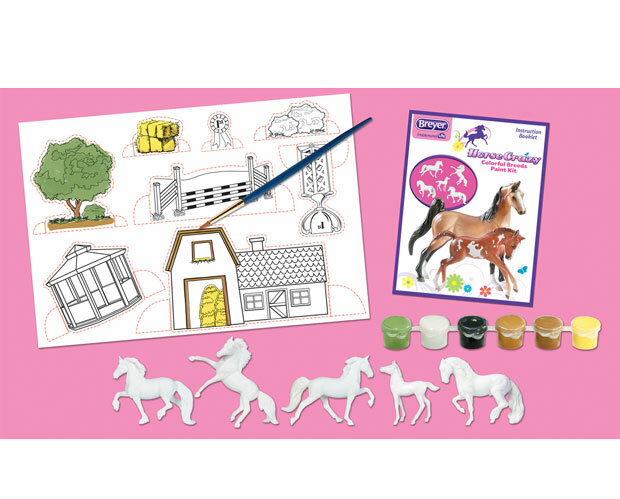 This adorable craft activity set will provide hours of fun, entertainment and learning! Five popular breeds are included: Tennessee Walking Horse, Arabian, Sport Horse foal, Friesian and Andalusian. 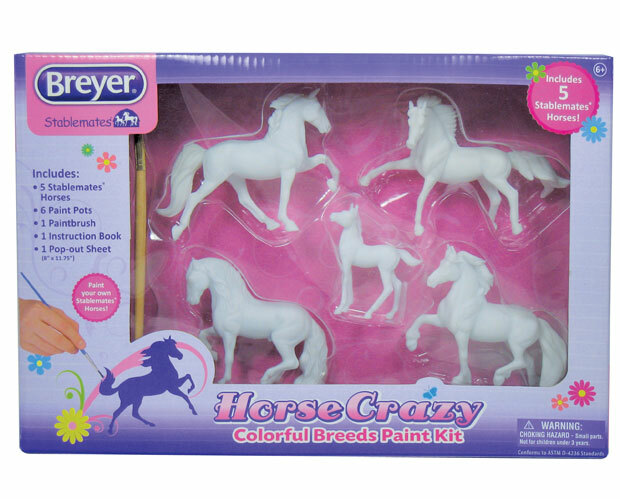 Each is base-coated and ready-to-paint and a sheet of eight (8) pop-out accessories can also be painted to create fun scenes with the horses.